Snowdrops (Galanthus nivalis) often bloom in the snow, but this year the snow melted weeks ago. Every spring I hunt for some fresh green glowing against the snow-covered or brown landscape, depending on the year. 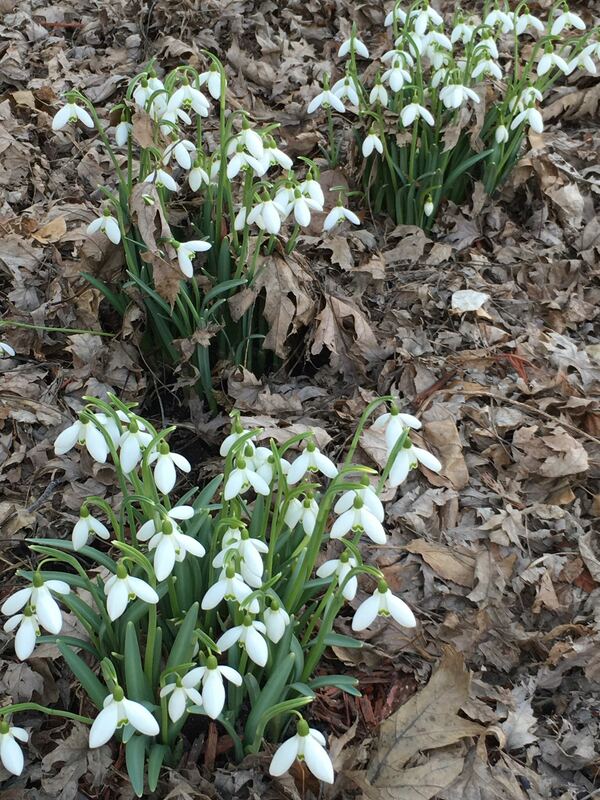 Patches of moss, which often remain green under the snow, are refreshing, but the first snowdrops that push through the soil and bloom speak of the awakening earth. 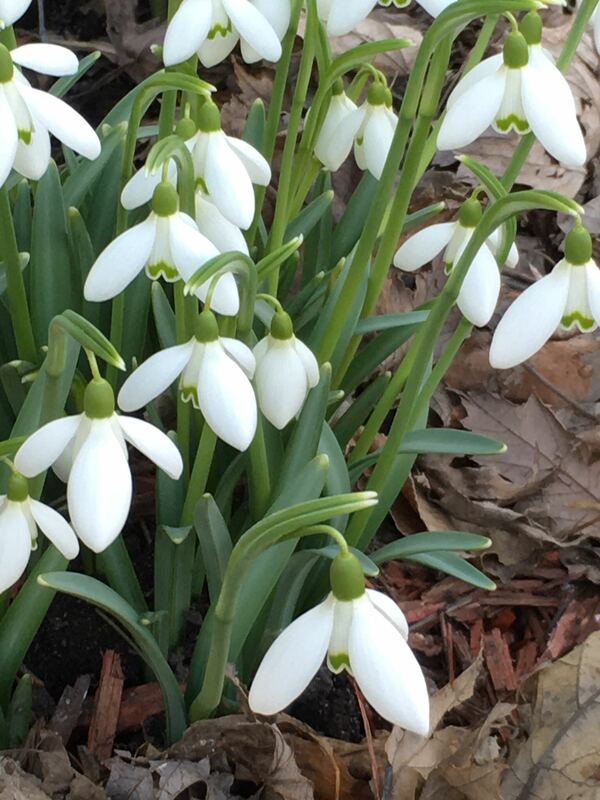 Last Saturday, a sunny, warm afternoon when cardinals sang and a pair of great-horned owls hooted softly to each other, I found a lovely patch of snowdrops blooming in my sister, Theresa’s, shade garden. Common snowdrop blossoms have three white outer tepals and three smaller inner tepals that are white and green. Snowdrops are small bulbs that grow and bloom right through the snow. This year’s early warmth melted the snow, so the tiny flowers stand out in contrast to autumn’s brown leaves that still cover the soil. The Latin name, Galanthus nivalis, roughly translates as “snowy milk flower.” Sources that I read say that the name refers to the blossoms looking like drops of snow or milk. Snowdrops are native to Europe and will grow reliably in USDA zones 3 – 7.